was started in the early 1930s by Jules Glant as an outlet for selling surplus items from its sister business, Pacific Iron & Metal (still located next door). During World War II, an enormous amount of war surplus items, canteens, landing mat, entrenching tools, and more, were being “junked,” and the business went from being an outdoor surplus yard to an enclosed store. 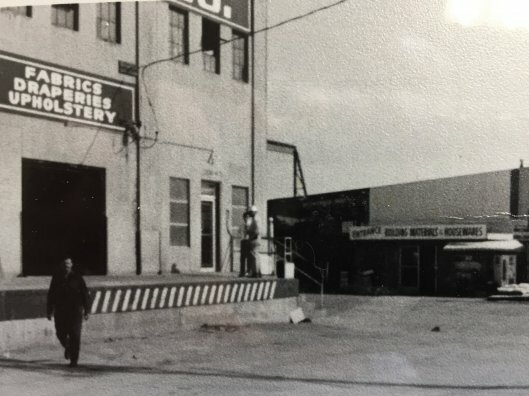 Through the years as a surplus store, the business was known by many names, including Browseville and Pacific Iron’s Building Materials. 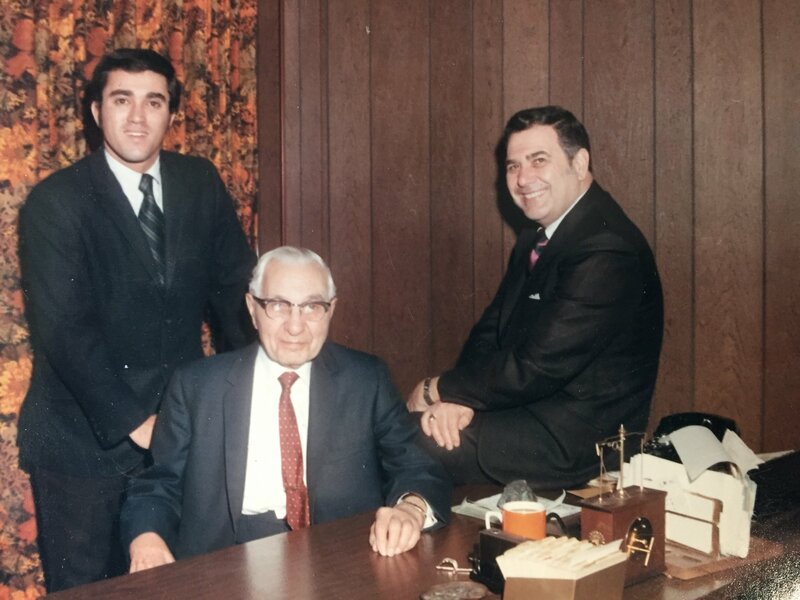 Now, in its fourth generation, the business is still family-owned and operated. Our original entrance (in the background). Pacific Iron & Metal/Pacific Fabrics (our sister companies in the foreground). 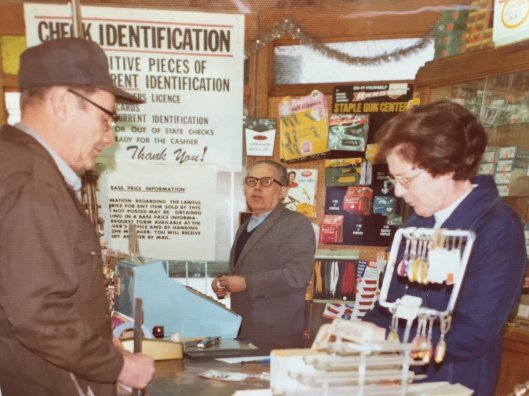 One of our managers working the register in the old days. Today, Seattle’s Doorhouse is mostly in the business of selling….wait for it….doors, of course! Current manager, Dave LaFrance, has established great relationships with an array of quality door manufacturers, and we have focused the last few decades on providing a great selection of doors. However, we have not lost sight of our surplus inventory origins, so we always have fun odds and ends in stock. When you come visit, you can expect to see Dave, Marcus and Drew ready to help you out with your ordering needs. Meanwhile, Matt and Ken will be honing their craft in our custom doorshop. Our first three generations. Douglas Glant, our current CEO (left), Jules Glant, our founder (middle), Earle Glant, our former President (right).